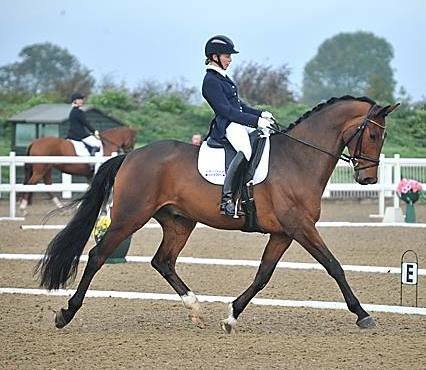 On 20th October Kelly, Elli, Diane and Gen competed at the Area Festival at Arena UK. It was an extremely early start leaving the yard at 5am! Still dark when we arrived the warm up classes were first. Kelly rode her own Chaim T (Slim!) he was a very good boy and carried off a ‘safe’ test to win the Novice with 68.85% Elli rode a very excitable Fitz who had just settled down after over an hour of warm up to score 66.15 and get 3rd place. Diane then competed Nico in the Elementary warm up class to score 64.71% to get 4th which she was quite pleased with as there were some mistakes due to Nicos lack of concentration! Later in the morning the huge Petplan Area Festival classes began. Again Kelly being one of the first to compete in the Novice Open was over the moon with Slim, he was more rideable although got a little tense and short in his neck but he is only 5 years old and can be forgiven 🙂 he stayed in the lead with 69.68% right up to the end of the class until Gen riding Elaine Hack’s pony Barney pipped him to 1st place with 70.48% It still meant that both have qualified for the Championships at Hartpury! Elli also competed Fitz in the Novice Area Festival and was very pleased with how he went to say he was such a tyrant at the start of the day. He scored 65.97% to still receive a top ten placing out of 33 competitiors! He is also only 5 years old and shows like this are such good experience for for them. Diane went on to compete in the Elemantary Open Area Festival and was happy with Nico scoring 63.28% to finish in 6th place. 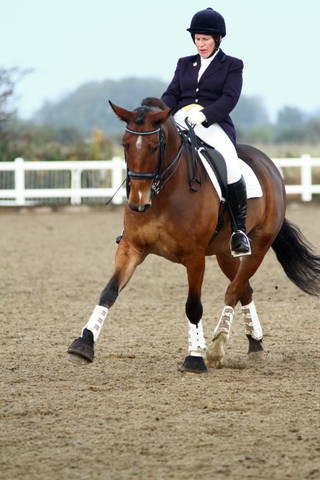 Gen competed Barney in this class too and scored 64.14% to get 5th place. Gen also competed on the Sunday on Elaine’s Always Owen in the Advanced Medium classes, winning the first class and coming 6th in the Area Festival class.